All things Yen and mummy!!! : My new addition to my tattoos!!! So on Sunday I had my seventh tattoo done. 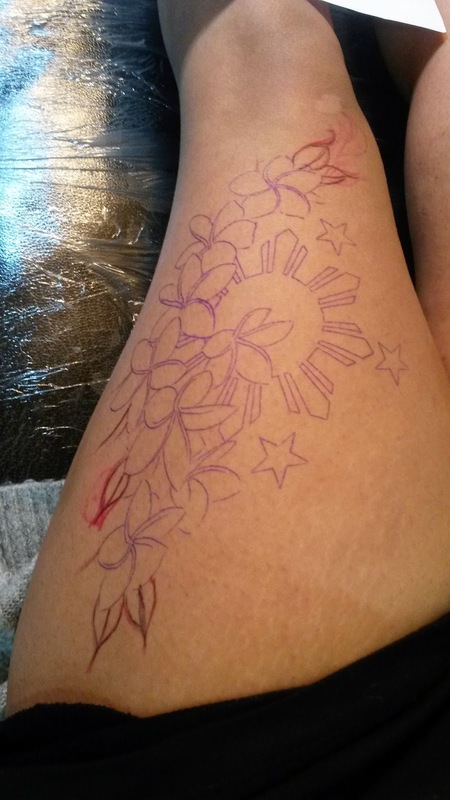 I wanted part of the Filipino flag and some sampaguita flowers get a really Filipino inspired tattoo. 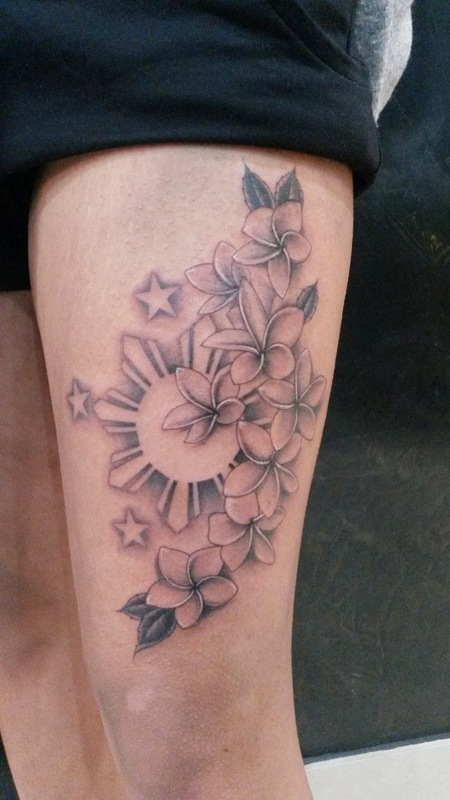 When I payed my deposit all I said to Ken (the tattooist) was I want the sun and stars of the flag and some of the flowers going around it. As soon as I saw it I was like yes I love it, I always have faith in him this is my 3rd tattoo by him. The pain was soooooooo bad I couldn't believe I went through it! To me this tattoo hurt more than child birth. I never screamed or cried but inside I thought I was going to pass out or something. I tried to put a film on but that clearly didn't work.